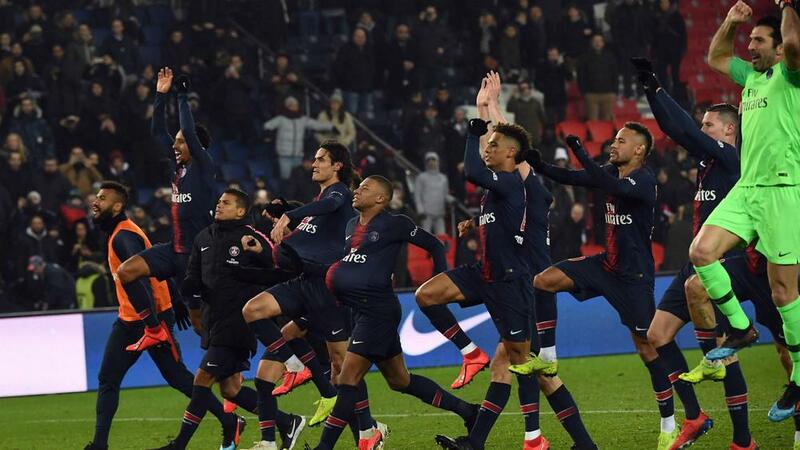 PSG tied their record Ligue 1 winning margin, leaving German boss Tuchel stunned post-match. Hat-trick hero Cavani, who passed the milestone of a century of goals at Parc des Princes, added: "The main thing was to beat Guingamp tonight after they had knocked us out of the Coupe de la Ligue. "I'm very happy to have scored my 100th and even my 101st goal at the Parc des Princes. I am in the club's history and I want to keep scoring goals to help my team. The 100th goal was a one-two between [Angel] Di Maria and Neymar, he put the ball on my head and I finished it off."